Moving is never easy. Apart from the stress of organizing a residential move, the parting with close neighbors and friends and the anxiety of the unexpected, you still have to worry about not getting hurt in the process. Lucky for you, we have just the right advice on how to safely move out and into your new residence. Unfortunately, we can’t guarantee you complete protection from emotional hurt, but we can certainly help you prevent injuries and accidents that may happen during the process. 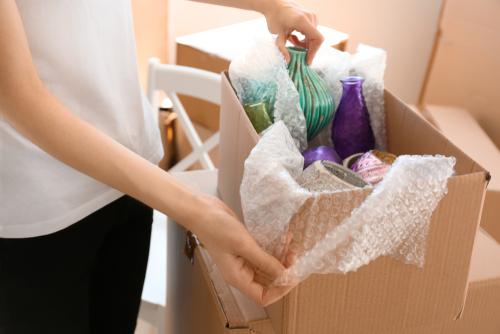 Here are five ways you can avoid getting hurt while moving. To protect you and your family from being injured, it is crucial to devise a comprehensive moving strategy. It shouldn’t be that difficult or time-consuming to do so. Key factors for safety considerations include weather, traffic volume, and the availability of help. Once you have these things on lock, you are now ready to do the actual moving without much fretting over getting hurt. With your plan ready, it is now time to do the actual moving. Ensure there is a lot of unconstrained space both inside and outside the house to allow free movement. Remove any obstacles along the hallways and paths and make sure you have a clear line of visibility. Keep walkways clear of any branches, mud, ice or any other debris that may disrupt your movement. A spotter will help warn you in case of any unforeseen danger while moving stuff to and fro. These techniques are essential for anyone looking to retain a properly functioning back and legs after the move. For heavy objects, bend your knees and use the strength from your arms and legs to get the object off the ground. Hold the object firmly and close to your body and take small, careful steps toward your destination. Avoid lifting over your head and twisting your body. Push rather than pull items and always keep your footing secure. This is especially important for self-movers. The futility of moving heavy furniture by yourself should be encouragement enough to use a moving dolly. If unavailable, consider using moving straps or furniture pads to lift heavy objects and appliances. This will prevent you from pulling a muscle, hurting your back or dropping something on your foot. Ouch! Plan every step in moving a particular item including where the object will be placed and how it will get there before lifting the item off the ground. Hasty decisions and rushed actions may result in rookie mistakes that might get you hurt. Plan each step diligently and weigh out all the necessary factors before leaving for the moving truck or into the house. Before disassembling a furniture piece, get all the required tools and equipment and always follow the laid out instructions. Remember to take a breather once in a while and always stay hydrated. Some reenergizing snacks and cold beverages will give you the needed boost of energy to keep you going.